Reputation most southern and most wonderful country in the the planet is not in vain belongs to Argentina. Here you can see the gorgeous glaciers coming down from the mountains; here is the legendary Patagonia, which immortalized in his novels, Jules Verne; here is the southernmost in the world Railway — Patagonian. In the country can move on the train, on the Intercity buses or airplanes internal airlines. 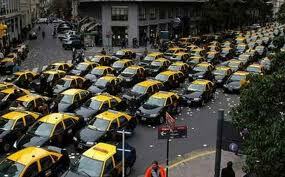 In Buenos Aires, easier to take a taxi than to understand intricate routes of public transport. In the taxi counters, pay should be strictly for their testimony. The only problem is transport capital — constant traffic jams. For comfortable travel in the country is worth think in advance all the nuances. Intui suggest you book an individual or group transfer in Argentina. You will be met at the door of the airport, will help bring luggage to the car and comfortably delivered to the hotel or hotels. When ordering a return transfer you will not be afraid late for your flight: you just picked up from the hotel and by that time will bring to the airport. Transfer services are paid strictly on a check without additional fees and charges, you know in advance their travel expenses. Order the transfer in the country Argentina can cheap and fast: the final price, convenient way to pay by credit card, modern cars and vans for transfer from 1 to 150 passengers, delivery at a convenient time, the possibility of order several cars for a big company. Meeting at the airport Argentina, Railway station, delivery to the hotel, or the city centre. Transfer - it is almost the same as the car rental with driver in the country Argentina or taxi, but easier and cheaper. The cost of transfer Argentina is included: Operation transport, fuel, driver, local taxes, toll roads, delivery to destination, 1 for 1 passenger baggage.